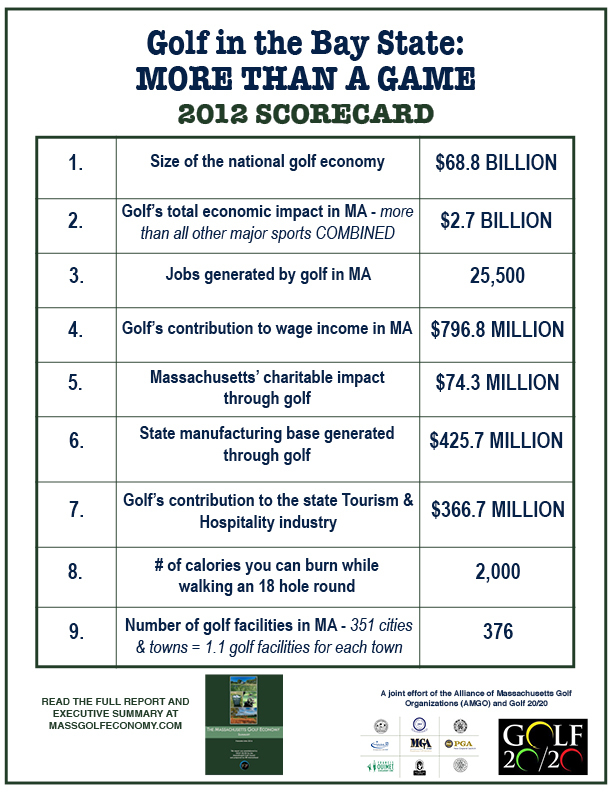 The golf industry in Massachusetts is a major contributor to the success of not only the state economy, but also the economic health of cities and towns across the commonwealth. Golf supports small business, puts people to work, and has given the state a thriving, non-exportable industry. With nearly 70% of the golf facilities in Massachusetts offering public access, golf is providing lifelong recreational opportunities and enjoyment for millions of Massachusetts residents.